Do you need septic system repair? Let Bolton Septic help! Do I need a new system or can I fix the one I have? Septic systems are generally very effective and durable. However, septic systems are not designed to last forever. The first sign of trouble is usually water backing up in the house and/or wet spots out in the yard- around the area of the septic field. If this is happening to you, you are in need of septic system repair. We can usually tell very quickly if you have a minor plumbing issue or a more serious septic problem causing your issue. Septic pumping can often fix an immediate water backup issue in your home – but a more permanent solution will need to be found in septic system repair. The most important thing to know is we are here to walk you through the entire repair process. All aspects of a new perk test, permits and inspections we handle, on your behalf, with the proper county/municipal authorities. You don’t need to become a septic expert (unless you want to). We will make sure you understand each step along the way. The first step is to have a new perk test done at your home. This is done by digging down (with a machine) to specific depths to determine soil conditions. Based on this information, a permit can be issued detailing exactly what the system repair requirements will be. Requirements can vary significantly depending on soil conditions, size of home, number of bathrooms, available area in yard, etc. It is at this point an accurate price quote can be provided. Until this point, any numbers discussed (by anyone) would be guesswork. A percolation test (perc test for short) is used to determine the water absorption rate of your soil. Understanding the quality and drainage capacity of your soil is essential to designing a efficient drain field. Local city ordinances determine the drainage capacity required for installation of a septic system. Bolton Septic will test your soil and insure that you are in compliance with all city and county regulations. Will I need a completely new septic field? The repair will require your current (failed) system to be brought up to current health department code. Depending on the size of the original septic tank itself, it is possible it could be reused as part of the new septic system (with new pipe/sand/stone being installed to create a new “field”). Reusing the existing tank would reduce cost. However, if the tank is too small to meet current health code, it may need to be crushed and replaced with a new, larger tank. Depending on the situation, sometimes a second tank can be added to the existing tank to create the proper gallon capacity required for meeting current health code. Each situation is different and will need to be carefully thought out and discussed with health inspector. At Bolton Septic, most of our septic installation work is in the repair space. The reason this is important is we are used to working in existing backyards around existing landscaping, trees, brick pavers, pools, driveways, etc. 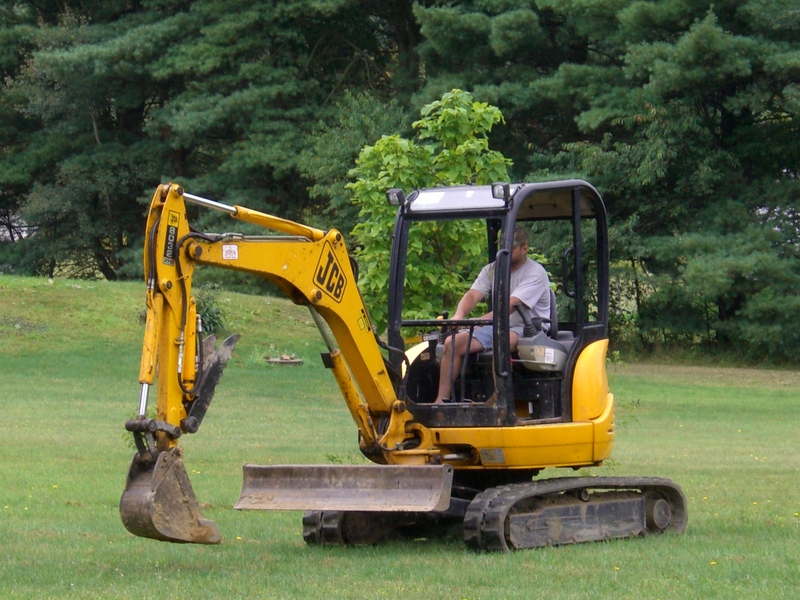 We work hard to minimize the damage created during a septic repair. However, repairs are messy. We will work with you before we start to discuss options. We can repair landscaping, sod, brick pavers, sprinklers and anything else that was impacted due the repair work. Honestly, we can do as much or as little to get things back in order following our repair work. If you are experiencing issues with your septic system give us a call. We can quickly diagnose the issue and provide you with a repair plan.